New Hope for Children Orphanage: Sponsor monthly purchase of one 25 kilogram bag of rice! 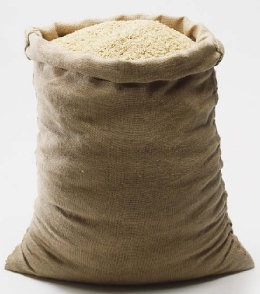 Sponsor monthly purchase of one 25 kilogram bag of rice! Your monthly gift of $25 will provide enough rice to feed all the children in one orphanage for an entire week! Click on this link to our donation page to set up your monthly gift. You can donate with credit or debit card, through your checking account, or via regular mail. Just note "RICE" under the comments section on the giving form. Donations to New Hope for Children orphanages are processed through Big Family Mission in the USA, and 100% of donated funds go to India to feed, clothe, and educate God's special children! Questions? Please email us: info@BigFamilyMinistry.org .